So you are one of the biggest bacon lovers around, but you know that you are not alone. Loads of your friends, family, and neighbors also love good, juicy bacon as much as you do. I mean, what’s not to love? Anyway, the point is that there is a lot of love and admiration for bacon, and you are one of the biggest motivators of this excitement. There is so much excitement that there is only one thing that can be done, throw a party! 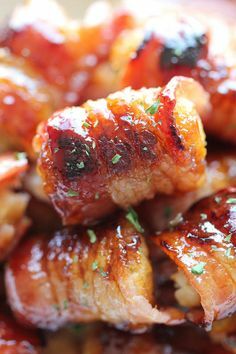 A bacon appreciation party can be an excellent way to share the joy of the juicy pork with your family and friends. At the same time, if you want to have a successful party there are a few details you need to make sure you plan for accordingly to assure a happy and enjoyable party. One of the most important details to organize is the setup of the party. Where in your home will the party be hosted? The living room is an excellent option. It’s not just about where abouts inside your home you will want your guests to hang out in, but more about the arrangement of where they will be. Guests need to be able to move around, sit around, and stand up to chat with friends easily and comfortably. Make sure you arrange your party in a way where there is flow and plenty of space for all the guests to relax and enjoy some good bacon. That brings us to the next crucial detail, the food. Food is crucial at this party because, afterall, it is a party to celebrate the joy that bacon brings us everyday. While there should be loads of bacon all over the party, and different types of bacon too, you also need to prepare for other food so people don’t overdose on the goodness of bacon. You can even use Groupon Discount Codes for Pizza Hut and load up on delicious pizza to keep your guests happy. You don’t have to spend ridiculous amounts on the party but make sure that everyone has enough to eat! I’m Converted! – My Experience Of Cooking Bacon In Water! So How Did I Get On With Cooking Bacon In Water? As you can tell I was more interested in doing it as it was something new and didn’t expect to become a convert to cooking bacon in water, but I think I have become one. Not only was it less messy and greasy, it was a lot easier. I made a round of bacon butties for both myself and my girlfriend and I have to say as a life-long fan of fried bacon, it tasted amazing. 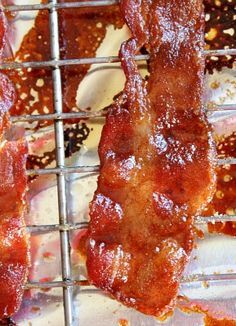 So, if you are looking for a new and improved way to cook bacon that doesn’t lose the natural flavour of it and keeps your kitchen and pans less messy for when you have to clean up, while being the healthiest way you will ever cook bacon; then you should definitely give cooking bacon in water a go. We’re united here by our love of bacon, but love always comes at a price. Has your devotion to bacon ever left you with blocked drains? It’s no mystery that tipping cooking fat down your kitchen drain or toilet will leave you with all kinds of plumbing problems (thankfully sites like Cleanipedia have some great advice on how to get things flowing again), but what’s the alternative? If you’ve only got a little bit of grease left over and it’s not enough to reuse, disposing of it is as simple as just wiping it away with a paper towel and throwing that away. This is the best way to get rid of your residue without having to worry about blocked drains. But then, if you’ve got a little bit of grease left over and some eggs to fry… You see where I’m going with this, right? Save fresh oil or butter for something else, and fry your eggs in your residual bacon fat. Not only will you be saving yourself a paper towel and some washing up, you’ll also get that glorious smoky taste running through the whole of your breakfast. Yum. In the UK, we love to recycle our cooking fat – so much so that you can get duck and goose fat in supermarkets to add to your Sunday roast potatoes. So why not keep your bacon fat? It’s not your average grease after all – it’s got that wonderful salty flavour and the cure can really add an extra special something to your dish. We all know pea and ham is a winning combination; the sweetness of the peas and the salt of the cured meat are a match made in heaven. Take a slice of this to your dinner table by tossing peas and green beans in bacon fat. With a bit of luck, you might even be able to talk your kids into eating their greens this way. Love a homemade meat feast pizza? Take it to the next level by keeping excess moisture out of the base with a little bacon fat. It’s a great alternative to olive oil (which can be pricey) and helps reduce food waste too. Your leftover bits of crust will be history, and so will your blocked drains! We’ve nailed our colours firmly to the mast when it comes to bacon desserts but if you want to try a subtle bacon-flavoured sweet treat then use the fat where cake recipes call for lard, oil or butter. That hint of smoke will keep your guests guessing for hours. Not got quite enough bacon fat to complete the recipe? Use it to line your baking tray or cupcake maker instead. So, now you know how to recycle and dispose of your bacon fat, you’ll never wonder about how to reduce your food waste or clear blocked drains again. Get creative and find ways to use your leftovers so that not part of your delicious bacon is wasted. We all know how much I love bacon/pork. Just lately I’ve been experimenting in the kitchen and scouring the internet looking for different ways to funk up my bacon. Today I thought I’d share with you the 3 recipes that got my tastebuds tingling the most. Cook the bacon in a griddle pan until crispy and brown. Blend together 2 whole eggs with 1 banana, until the consistency is smooth. Pour into a frying pan into pancake sized shapes, before flipping after a minute or so. Stack on a plate with your bacon and spoon over some peanut butter! With a good glug of olive oil, cook your streaky (chopped into lardons) bacon in the pan until it’s golden. For the final minute, add some pine nuts. I used about 2 tablespoons. Set aside on a plate. Next, chop up your pickled onions and pear. Begin making a dressing for your salad in a big bowl; a bit of pickled onion stewing juice, a teaspoon of mustard, and a glug of olive oil. Add pepper to taste. You can then add your salad leaves, bacon, pine nuts, pear, and feta before gently tossing to coat. 600 grams of pork fillets. I cut these into thick slices. Fresh black pepper, around 2 tablespoons. A bunch of chopped parsley. First, I researched the best wines to go with pork, as I was having guests over! Then, after purchasing a suitable wine, I cooked my rice to the packet instructions. Sometimes I like to use the rice you cook in the microwave, as it only takes a couple of minutes. Season your meat on both sides with the salt and pepper, before heating some of your oil in a frying pan. Sear your pork on both sides, one minute each. It should be nice and brown. Remove from the pan. Add another splash of oil and pop your onion in the pan. This needs to be cooked for 5 minutes, before you add your vinegar for 1 more minute. Add your maple syrup, then place your pork back in the pan until it’s cooked through. Mine took around 5 minutes. To serve, place your rice on a plate, pop your pork on top, then spoon over your sauce and onion. Scatter with parsley to finish! 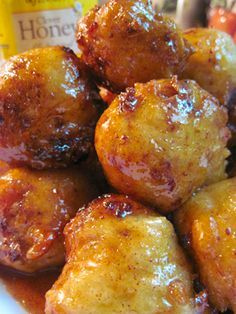 I hope you enjoy these recipes as much as me! As well as preparing, cooking and eating I love watching TV shows about food when I get the chance. My current favourite is the Great British Bake-off. I like Paul Hollywood because he’s a talented baker and a bit of a man’s man and that really appeals to me. He proves that you can be into baking and still be considered masculine. Obviously I particularly love the Bake-off because I enjoy seeing how the different bakers’ things turn out. It always looks like such a pressure cooker of an environment and even though I’d love the challenge of being on it, I find it stressful enough just watching it from the comfort of my own home. One of the most recent episodes, that had a round where the contestants had to bake éclairs reminded me of one of Paul Hollywood’s recipes he featured on his other show Paul Hollywood’s Pies and Puds, because the baker and I think it was Martha made savoury éclairs with bacon, which reminded me of Paul’s delicious looking Bacon and Egg Pie! Yes, that is correct, in a stroke of pure unadulterated genius Paul Hollywood has taken two of my favourite breakfast food ingredients and put them both together in a pie! I mean I love bacon, I love eggs and as a true Brit I am also partial to the odd pie or 4 whenever the opportunity arises. I had never really heard of the concept until I saw him make it. I was drooling bad enough from the concept alone but once he had finished baking it and it had that nice brown colour and look crunchy on the outside, I wanted to just grab a piece from the television! But, I missed out the best part – the eggs in this pie are put in whole. That way if you are lucky enough when cutting it into slices, you could get a whole egg suspended with in the pie, which is a bit like winning a prize! I haven’t tried making it yet, because I just haven’t had the time and I am not very confident when it comes to making pastry from scratch. Most things in the kitchen I feel confident enough to have a go at, but I’ve had some bad experiences with pastry in the past and I think that is the reason why I feel reluctant. You can be sure though that after I have practiced on the basics of pastry baking a little more, I will be trying Paul’s scrumptious recipe. I have included a link to the pie so that you, my readers, can also go and have a look at the wonderful creation at http://www.bbc.co.uk/food/recipes/bacon_and_egg_pie_06890. If anyone has tried making this, please feel free to leave a comment and tell me how you got on and if anyone has any pastry making tips they can give me to boost my confidence, I’d really appreciate it! It’s clear that you have an undying love for bacon, that’s why you’re here, right? Either way, every amazing food item needs the perfect complimenting items to go with it. You want to find the perfect combinations that will highlight bacon’s amazing flavor and crispy texture. However, you want something to go with bacon that you can still taste, not just a filler to use as a vehicle to get the bacon to your mouth. This perfect balance is difficult to find no matter what food you are working with, but of course, you take your bacon combinations much more seriously. All kidding aside, there are some pretty great bacon combinations out there. However, the best bacon combination by far is the bacon and cheese combination. 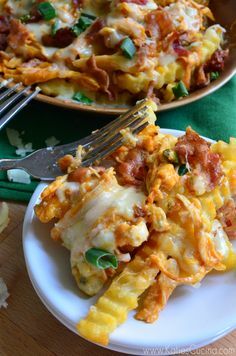 The salty flavors of cheese and bacon mix perfectly together and the smooth and creamy texture is the perfect counter to the crispy and crunchy texture of bacon. Now that your mouth is watering, here are a few of the best bacon and cheese combinations for you to try out today. The grilled cheese sandwich has been a family favorite for years. Everyone can get excited about this simple dish, but of course everyone only wants to make a good thing better. After playing with a million combinations, a favorite discovery was made. Creating a grilled cheese sandwich made with your favorite bread, bacon and the combination of gruyere and asiago cheeses make for a delicious sandwich. But what’s the perfect addition to this salty sandwich? Dunk your grilled cheese sandwich in maple syrup to get that sweet flavor that you need without eating a breakfast food. Because we now know how well sweet flavors mix with bacon, we can try out another daring combination. Bacon is no stranger to pizza, but a pizza topped with bacon, sweet potatoes, arugula lettuce and pesto sauce is the best combination of some of everyone’s favorite pizza toppings. This is a healthy bacon dish that is sure to impress all your guests and keep them wanting to know where you got your chef skills from. This is not a new bacon and cheese combination, but it still remains to be a crowd favorite. It is simple, flavorful, and can be adjusted to meet the needs of those people trying to eat healthier. Start with fresh jalapenos and slice in half, removing the seeds. 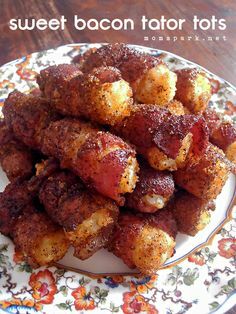 Fill with cream cheese and simply wrap in a piece of bacon. Bake them in the oven or on the grill to get the perfect appetizer that everyone will love. Sargento Cheese Recipes provided the perfect addition to a classic dish that makes mac and cheese perfect to serve to kids and adults alike. You can spice up any macaroni and cheese recipe by simply adding jalapenos for spice and flavor and bacon, well, because it’s bacon. I think we are all agreed upon the joy that a bacon butty can spread. There’s no questioning the appeal of this salty show-stopping sandwich, with or without brown sauce or tomato ketchup – it’s got to be up there as one of the true wonders of the culinary world. We shouldn’t restrict our bacon consumption to breakfast and butties though. It is entirely possible to find ways of enjoying our favourite rashers in a whole range of diverse and sophisticated recipes. Whether it’s smoky, streaky, oaky or mouthwatering maple bacon that gets you sizzling, here are some boundary pushing ideas to get you cooking on the culinary edge. Set out the table with crisp white table linen and charge the champagne flute with bubbly to get the full effect from this triumvirate of knockout flavours – bacon, oyster and champagne. Sublime. The sweet saltiness of crisped up lardons on a shelled oyster, washed down with champagne, really takes some beating. For a drinks party with a difference, try out this classic surf and turf combo next time you need to make a sophisticated impression. A classic dish currently enjoying resurgence for its retro appeal, coq au vin is a French housewife’s favourite that used to regularly grace British dinner party menus in the 1970s. The recipe involves slow cooking chicken in red wine with a heavenly supporting cast of herbs, garlic, mushrooms and bacon. Traditionally, chunks of the finest back bacon were tossed into the casserole; these days, smoky dry cures and pancetta-style bacons work their magic in this enduringly delicious dish. Turn up the sophistication levels to the highest setting by using a bottle of good quality red wine and adding a generous splash of Cognac for an added kick. Alternatively, another Gallic gourmet treat that’s enjoying a retro revival is the famous boeuf bourguignon. Straight out of the French classic cookbook, this recipe puts braised beef in wine (Burgundy, of course!) and simmers away alongside streaky bacon, silverskin onions, garlic and mushrooms. It tastes delicious, and like the coq au vin, it can be prepared in advance, making it a fabulous dinner party feast. Bon appetit! If egg and bacon were a married couple, they would be the perfect example of wedded bliss; but if you want to be taken seriously as a forward-thinking foodie, it’s time to move away from the nursery and start creating some meals that mean business. Employ the winning combination of egg and bacon in an elegant recipe by using delicate quail’s eggs. Teamed with some crisped up rashers and served up on a bed of tender warmed broccoli with vinaigrette and some shavings of parmesan, this smart salad hits all the right notes. Bacon is a versatile ingredient that turns any dish into an event to savour. For some flavour-packed meals heavily seasoned with sophistication, why not consider re-energising your bacon repertoire with these ideas?